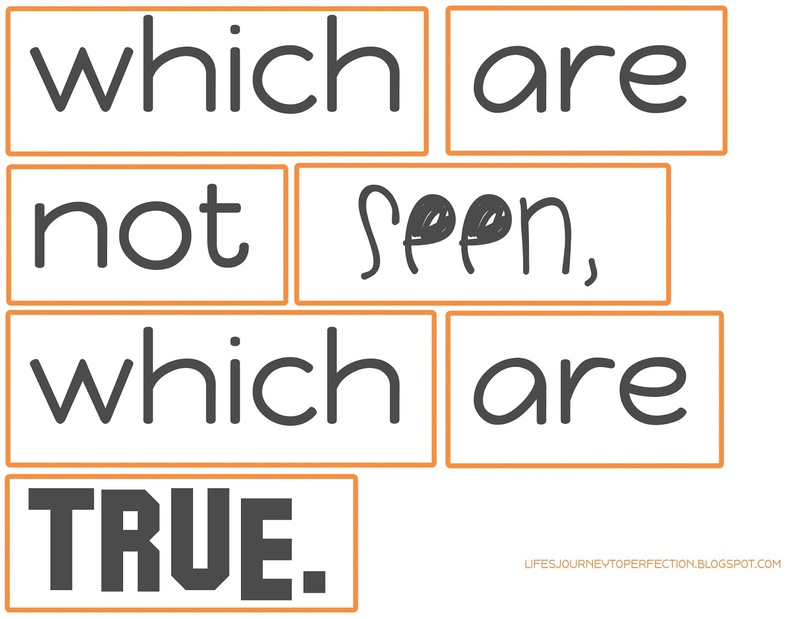 Life's Journey To Perfection: LDS Sharing Time November 2014 Week 1: "If ye have faith ye hope for things which are not seen, which are true” (Alma 32:21). 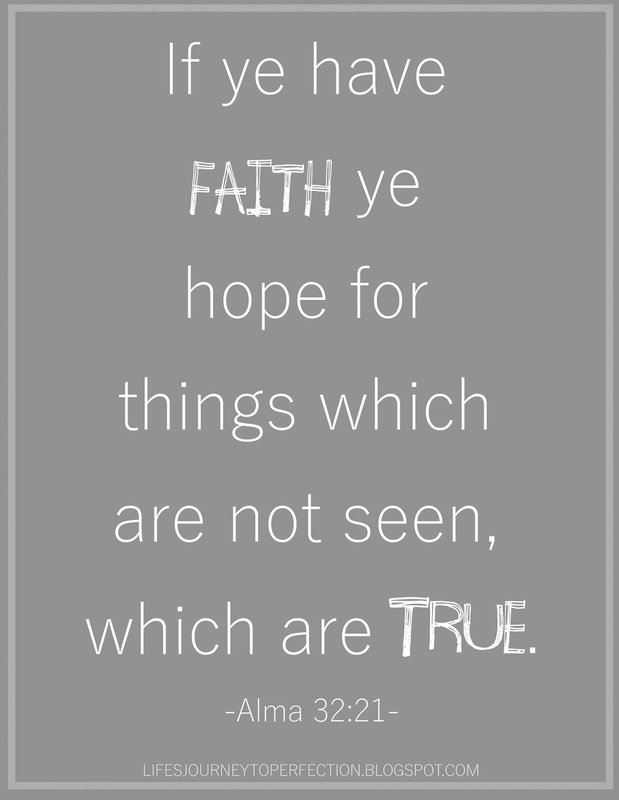 November 2014 Week 1 Topic: “If ye have faith ye hope for things which are not seen, which are true” (Alma 32:21). Items to gather: Gift Bag with picture of Christ in it. Gather pictures (see links below). Print printable. Begin Sharing Time by showing the primary children a bag (in the bag have a picture of the Savior). **Important: Do not show the children the picture at this point, keep it concealed in the bag** Tell the children that inside the bag you have a picture of the Savior. Ask the children if they can see the picture? Ask them how they know the picture is in the bag? Discuss with the primary children that even though they can not see the picture they can have FAITH that what I have said about the picture being in the bag is true. 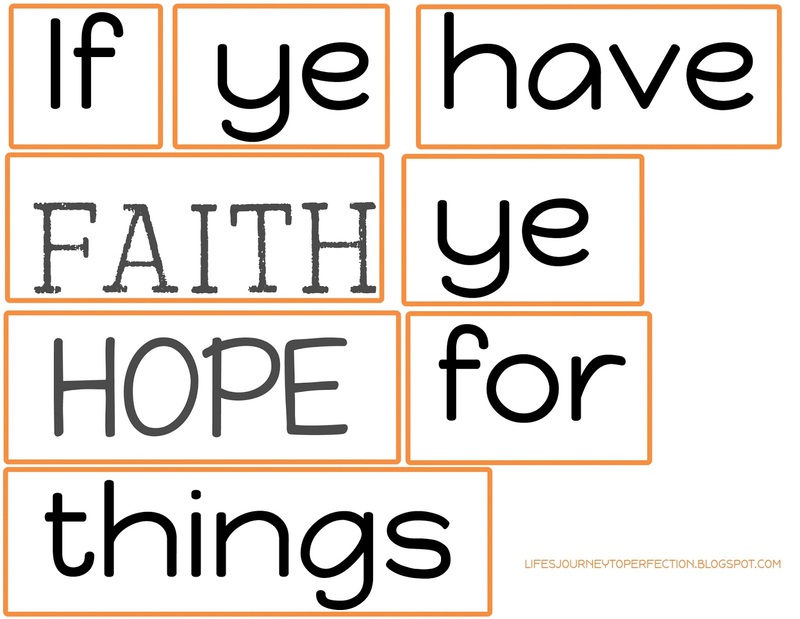 Place the following words on the board, "If ye have faith ye hope for things which are not seen, which are true" (See printable above). Invite the primary children to say the words with you. Remove a couple words and invite them to repeat the phrase with you again. Continue removing words and repeating the phrase until the children can say it with no words being on the board. Invite the primary children to help you discuss some examples of FAITH in the scriptures. Share an example of faith in your life and then invite the primary children to give examples of how they have had faith and how they have been blessed by their faith. Invite a primary child to come up and take the picture of Christ out of the bag and show the rest of the primary. Close by sharing your testimony about the blessings that will come as we show faith. Encourage the primary children to continue to exercise faith in their lives. Some lovely prompts for me to use......thank you! Thanks so much. This is what I was looking for. Thanks for commenting! Hope your sharing time went well! Thank you so much for this! I was having a hard time deciding what to do and this is perfect! Thank you so much for all of your work on these sharing time ideas! I use some of your ideas all of the time to add to my lesson.